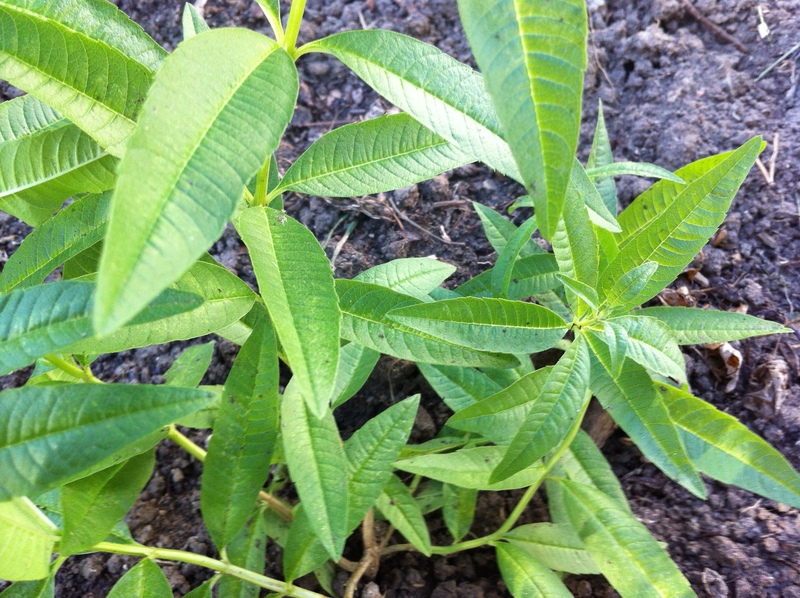 Doesn’t the smell of lemon verbena make you just swoon with delight?! This summer our plant in the garden grew by leaps and bounds, and I would literally stick my face in it, rub my fingers in the leaves and breathe in the scent in deep, luxurious breaths. 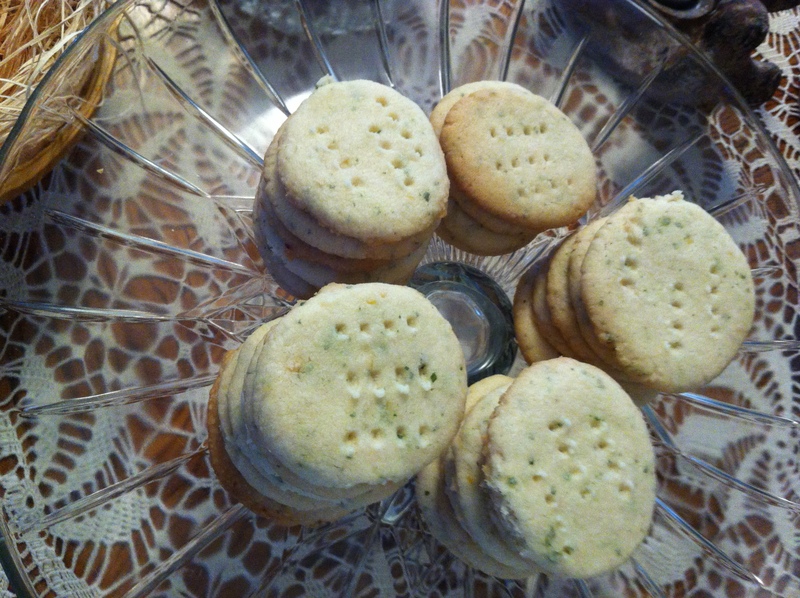 Just look at the happy rows and stacks of shortbread cookies…. not too sweet….flecked with green and gold. I’m using the Pamela’s brand of Artisan Gluten Free Flour during this holiday season. I’m so happy with it! It’s advertised as “all purpose flour – use cup for cup”. That, and fresh good butter, organic powdered sugar, a splash of fresh lemon juice, minced zest, and crushed, dried lemon verbena are the simple ingredients for this recipe. For you wheat flour users, the recipe is great made with regular ole flour, too. It’s the flavorings – and the butter – that make these cookies. Just keep an eye out. Take care they don’t bake too long. If you are in “the shortbread mood”, you might like to check out my post from last year about this time – my annual glazed lavender -mmmm – shortbread baking, with an awesome hazelnut clementine – WOW- shortbread recipe thrown in. This is the same basic recipe. 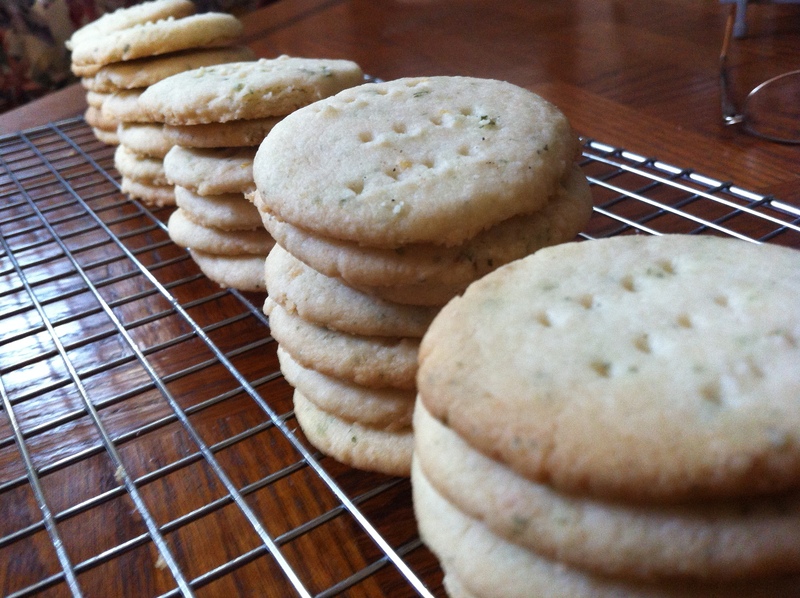 By the way, I have the incomparable NYC Buddhist Greyston Bakery to thank for the inspiration you’ve given me throughout the years, and this basic shortbread recipe. Cream powdered sugar and butter until fluffy and light, then lemon juice. Blend in flour. Evenly blend in lemon zest and lemon verbena. Chill dough a good 20 minutes to half hour, or even prepare ahead to this point (then chill, well wrapped) to bake on another day. Preheat oven to 350 degrees. Adjust rack to the center of the oven. Roll dough into one inch balls in the palms of your hands, placing on cookie sheet and flattening with the heel of your hand. Score several times with a fork. Bake cookies approximately 12 minutes. Check them at 10 minutes to see if they are showing a light golden brown on the bottoms, and just the palest hint of tan around the edges. Lemon… surely one of the grandest earthly delights. 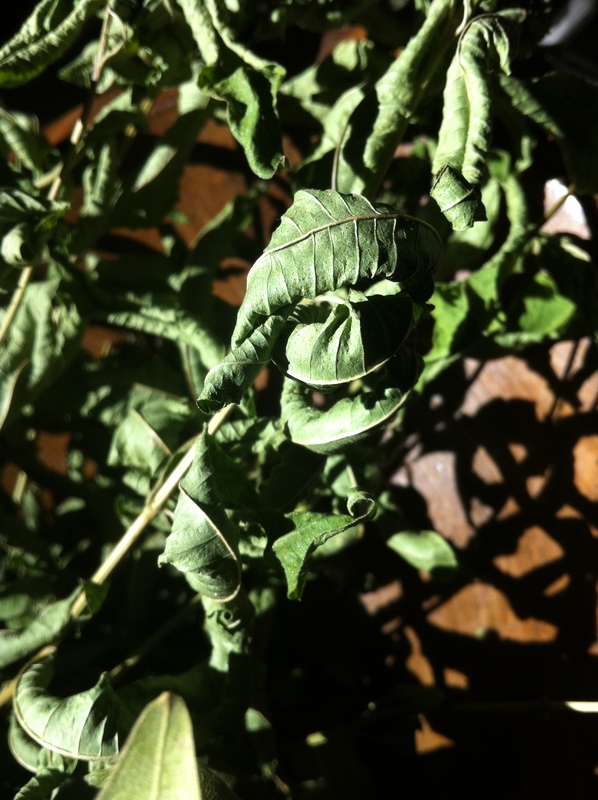 And, living in Colorado, it’s doubly lovely to score the coveted lemon flavor right from the backyard herb patch. 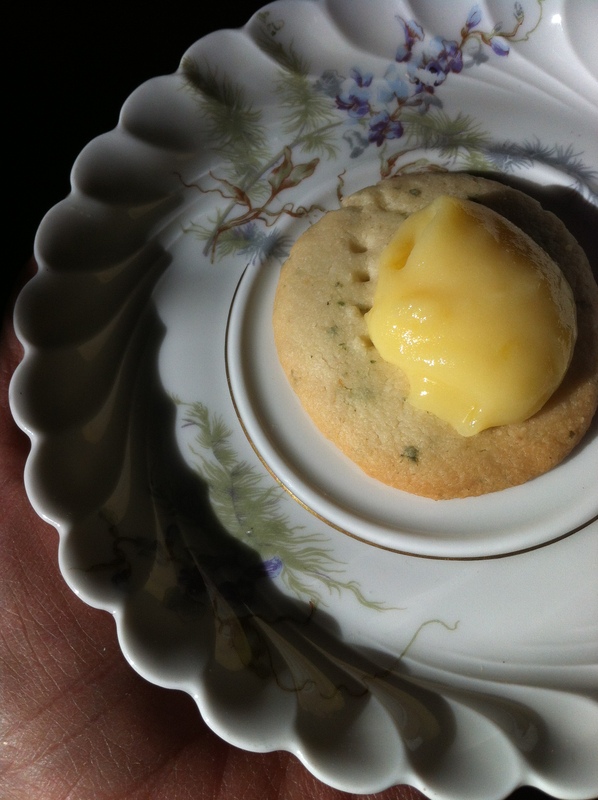 *Did I mention you should serve these delicious shortbread cookies with homemade lemon curd? 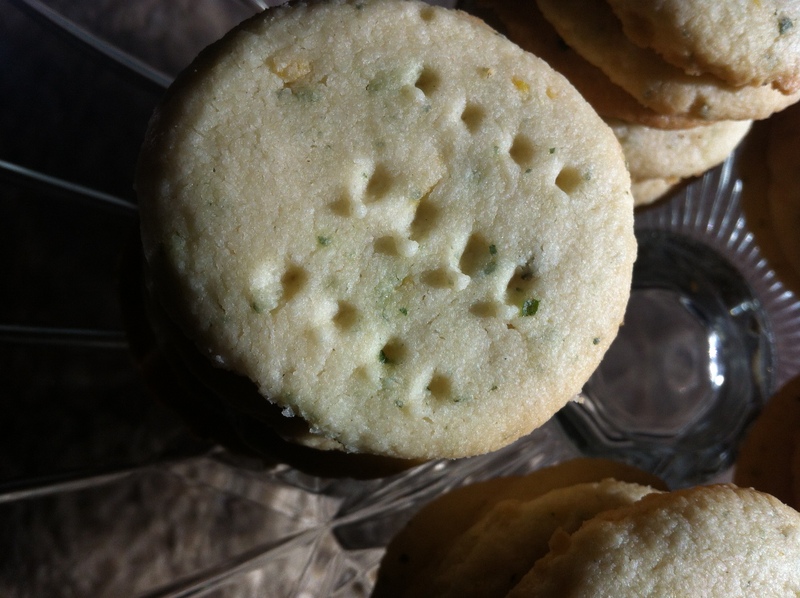 did I mention that you should serve these lemon verbena shortbread cookies with homemade lemon curd? Holiday blessings, and the love of family and friends to you all. Whatever you bake this holiday season, think about love.